During a visit to Disney World, this little firecracker met up with Gaston from Beauty and the Beast and made it known that there was absolutely no way he was going to be marrying Belle. The girl, named Isabella, was not impressed by Gaston's notorious charms and proudly declared that her favorite character is the Beast. 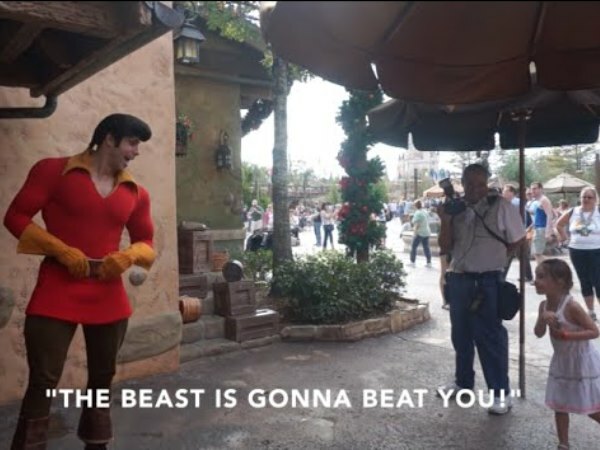 A disgraced Gaston is left to lick his wounds as the victorious little girl prances off. 'I've been outdone by a girl. A short one,' he concludes admitting his defeat. The adorable video was captured by a bystander and recently went viral on YouTube with more than 200 000 views.